YALETOWN REAL ESTATE "Vancouver's Trendiest Neighbourhood"
Yaletown Neighbourhood is located in Downtown Vancouver between False Creek, Robson and Homer Street. 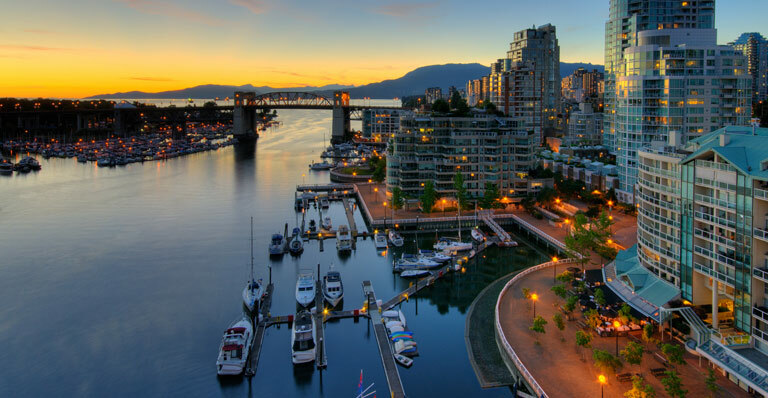 Yaletown is surrounded by the scenic Sea Wall and the beautiful view of Vancouver. Home to many pet owners; Yaletown is a very pet friendly neighbourhood and has many parks to enjoy with your furry companion. A former heavy industrial area with mainly warehouses and rail yards had a complete transformation after Expo 86. Now, the neighbourhood is home to marinas, high rise apartments, and heritage buildings. 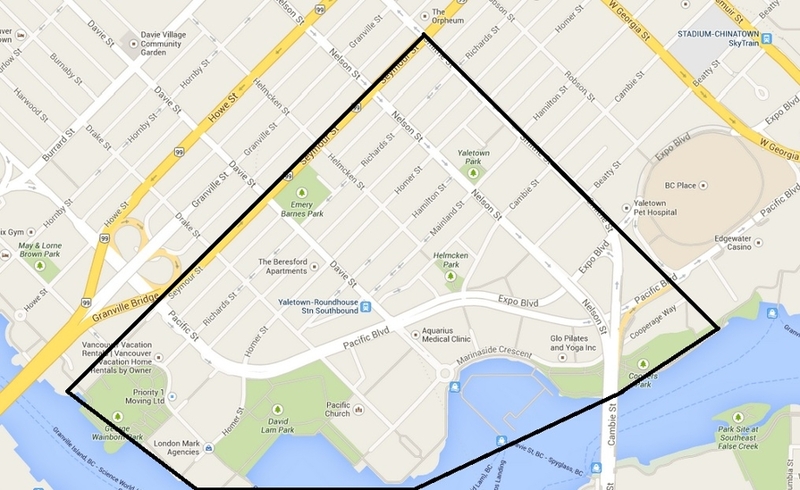 Yaletown is a prime location to invest. With views of the water from every angle, most of the buildings are new and modern. There are still plenty of heritage buildings in the neighbourhood. Elementary School - Yaletown is home to different elementary schools, Elsie Roy Elementary School and Lord Roberts Elementary School. Elsie Roy is located right off the Sea Wall near Round House Community Centre. Lord Roberts Elementary School is located more towards the West End neighbourhood on Bidwell Street. Secondary Schools - The only secondary school in the Coal Harbour is King George Secondary School, home of the Dragons. Located a block of Denman Street on Barclay Street. Yaletown has everything you need within walking distance; Restaurants, coffee shops, grocery stores, parks, boutique shopping, community centres, easy access to public transportation, the Aquabus to Granville Island and Canada Line and Elsie Roy Elementary School. The high end market, Urban Fare, is located right by the Sea Wall at 177 Davie Street. They have it all; from luxurious products to every day needs, catering services, a restaurant and café, and a flower shop. Choices Market is located at 1202 Richards Street near Emery Barnes Park. For a fun shopping trip, hop on the Aquabus and head over to Granville Island Market; featuring Vancouver’s freshest foods and products. Enjoy boutique shopping in the heart of Yaletown between Homer and Mainland Streets. Yaletown features one of a kind stores from trendy women & men clothing to interior design and home stores. North of Yaletown you will find Pacific Centre and the busy Robson street shopping district; home to the biggest name brands and many flagship stores. Historic Granville Island is located in False Creek directly across from Yaletown. Inside Granville Island, you will find some of Vancouver’s best sea food restaurants, the Kid’s Market, Emily Carr University, unique Art Galleries, and Granville Island Market – featuring the freshest produce and meats, bakeries and flower shops. View my listings to see Yaletown Condos for sale.